Any doctor here? I'm a doctor, what's going on? A heart attack. 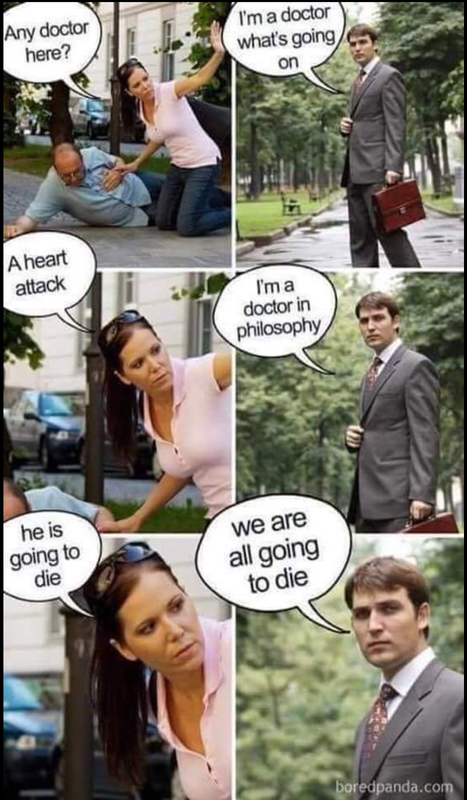 I'm a doctor in philosophy. He is going to die. We are all going to die.